If you find yourself with 48 hours to spend in Hong-Kong, do not panic! Although it is a busy city with plenty to do, it is also quite dense so it shouldn’t be too difficult to explore a large proportion of the things you’d like to see in such a short amount of time! Before a busy day of exploration and cramming in as much as you possibly can, it’s important to have a good breakfast to keep you going throughout the day. The Brunch Club is a fantastic place to start if you want something as healthy as it is delicious! Grab the eggs Benedict and smoked salmon for a perfect start to the day. Kick off your day by visiting one of the oldest temples in Hong Kong; Man Mo temple, which was dedicated to the gods of war and literature. Take in the cacophony of aromas that this temple provides with all the incense and enjoy the crimson interior which is hard to miss! Walk across to Cat’s Street to check out the numerous stalls of “antiques” (and we use that loosely!) and fun souvenirs. 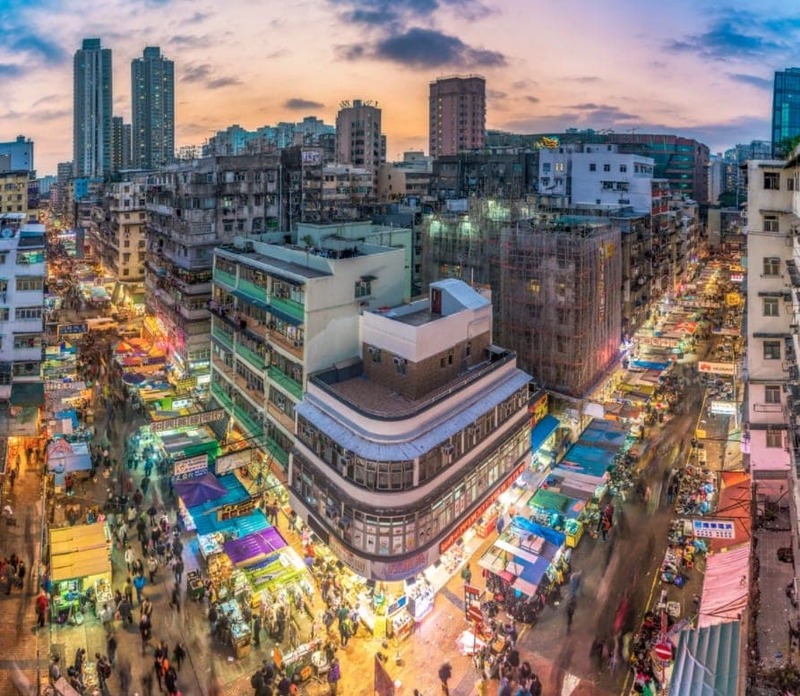 There is so much to see in Wan Chai that it is going to take a few hours to see it all! The Wan Chai Heritage Trail alone takes around two hours, but you can see so much of the city’s culture across the 15 stops. The Hong Kong Arts Centre is a must-see if you want to experience some culture, or just take a walk in the beautiful Tamar Park. This area is also home to the Pak Tai Temple which is another temple that is worth a visit. When the sun goes down, Causeway Bay is the place to be, as the city lights illuminate the sky. There are also some colossal shopping malls where you can buy designer items or more local brands in the same place. QI Nine Dragons is the home of Sichuan cuisine, so if you are feeling spicy, there is no better place. You can even enjoy a drink on the rooftop terrace to cool down a little after your meal! Get an early night after this as there is still loads to fit in! A visit to The Peak is an absolute must! Get the peak tram to the highest point, and you will be blown away by the view from the most exclusive neighborhood in Hong Kong. You will also find some fantastic shops around this area too so make the most of it. Check out Hong Kong’s very own Hollywood walk of fame with the waterfront Avenue of Stars! If you time it right, at 8 pm the Symphony of Lights is an incredible laser show in the sky in this area too! Fook Lam Moon has two Michelin stars for its dim sum and if you’re feeling hungry after your morning of walking, try the signature roast sucking pig to really embrace Hong Kong food! Lan Kwai Fong is the place to be and the residents of Hong Kong party hard so be prepared! There are fantastic rooftop patios if you want something a bit more chilled, or clubs if you are going all out! 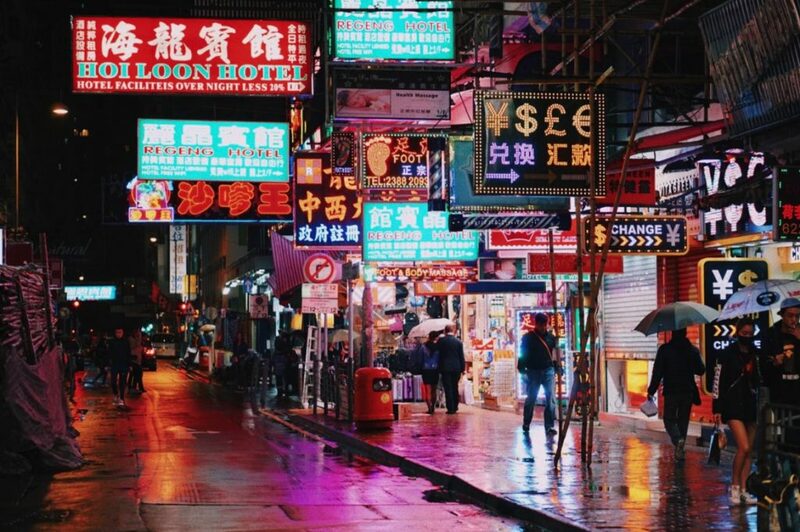 If you are less of a party animal, spend the evening at the wonderfully bizarre Temple Street Night Market where you can buy the weird and wonderful! If you plan ahead, you can fit so much into 48 hours in Hong Kong!